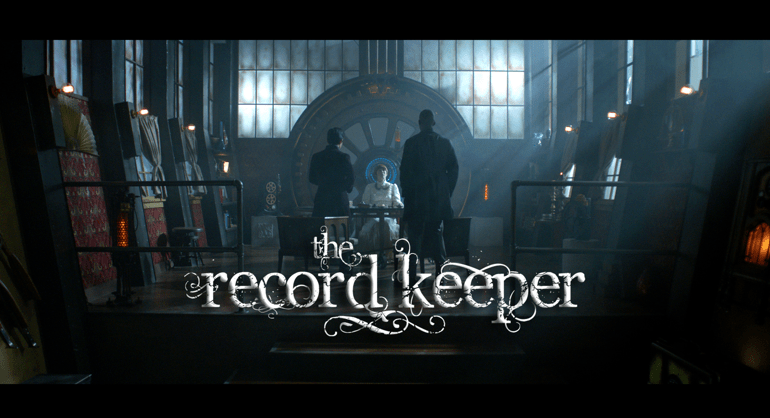 Jason Satterlund’s steampunk sci-fi The Record Keeper has caused quite a stir around the world. It started life as a web series commissioned by the General Conference of Seventh-day Adventists, based on Ellen G. White’s book The Great Controversy. When the teaser trailer was released last year it went viral, beating Stan Lee to win “Best One Shot” at the Geekie Awards in Hollywood. However, after a change of heart by leadership, the church decided not to release the series due to claims of “problematic and theologically inaccurate matters raised.” This was a huge blow to Satterlund, who had dedicated two and a half years of his life to making the series. Fans from all over the world were so distraught that they set up a Save The Record Keeper facebook page. After signing with producer and manager Louise Hart from Steady On Productions, Satterlund adapted the series into a feature film, which will now have its world premiere at London’s prestigious Raindance Film Festival. The Record Keeper is a sci-fi drama about the history of mankind, told from the perspective of angels. The film centres around Raina and her life as a record keeper in Heaven’s administrative offices. She interviews angels and demons about the events unfolding on earth, and is pulled into the waging war of good versus evil. Raina becomes particularly involved in the lives of two angels from each side of the conflict; Larus, a fighter for the rebellious General (Lucifer), and Cadan, a soldier loyal to the Prince (Jesus).